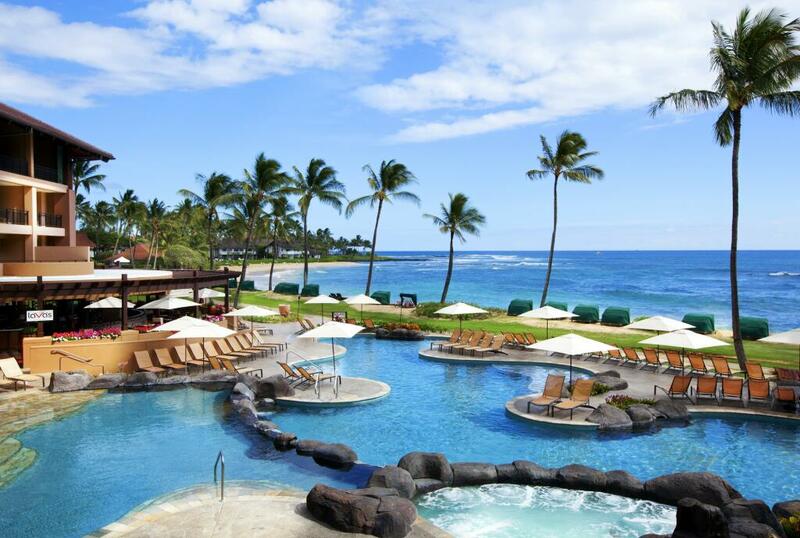 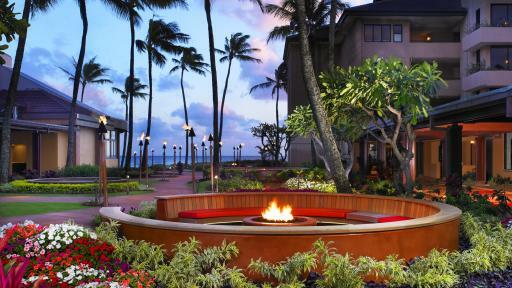 Located on the shores of the famous Poipu Beach, Sheraton Kauai Resort offers spacious accommodation surrounded by 20 acres of tropical gardens. 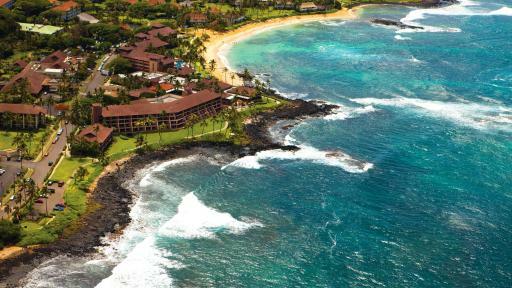 Located within walking distance of local activities and attractions, the resort is ideally located for swimming, surfing and snorkelling. 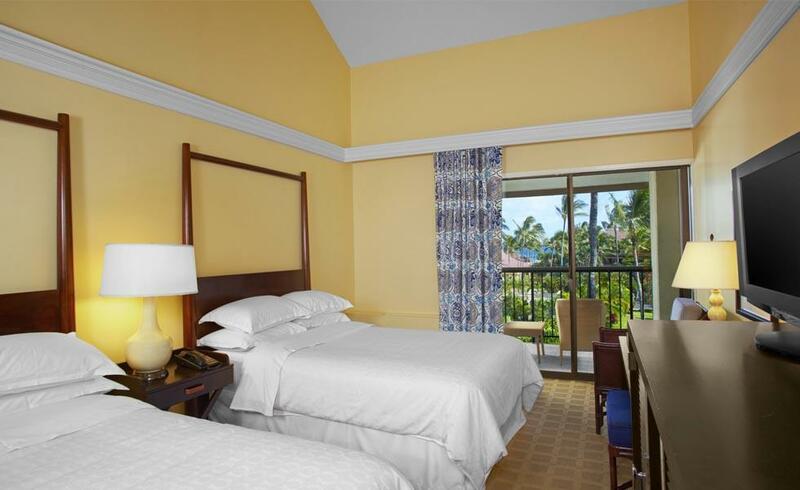 Accommodation at Sheraton Kauai Resort offers guest rooms spread across 8 four-storey buildings and offer a range of bedding configurations, amenities and private balconies with views of the resort gardens and partial or full ocean views. 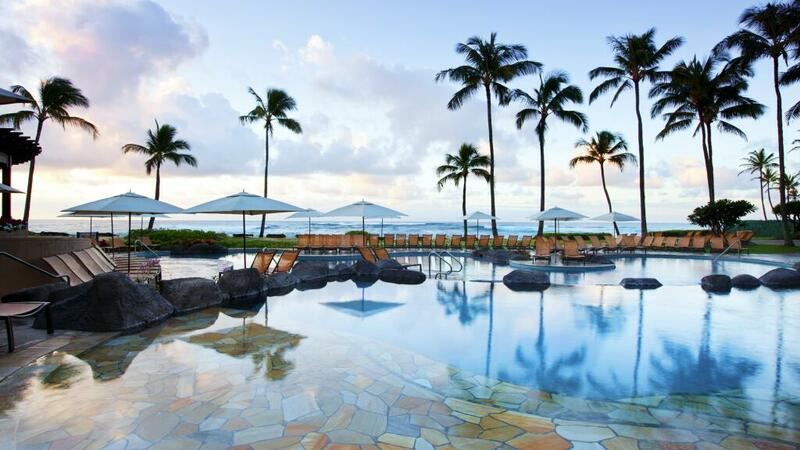 Sheraton Kauai Resort also offers an impressive range of facilities including a swimming pool, bar and restaurant, a fitness centre, gift shop, day spa and more. 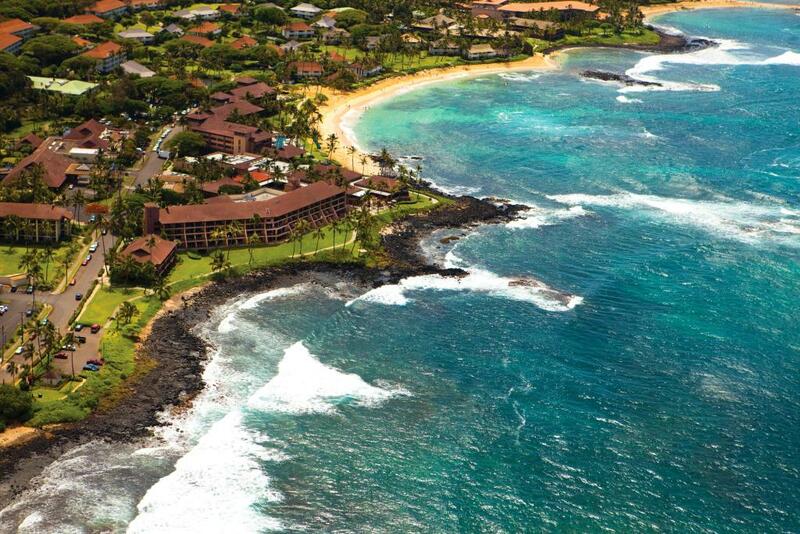 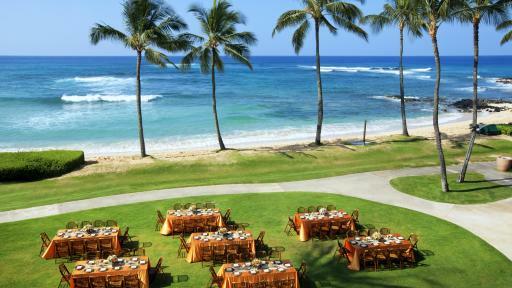 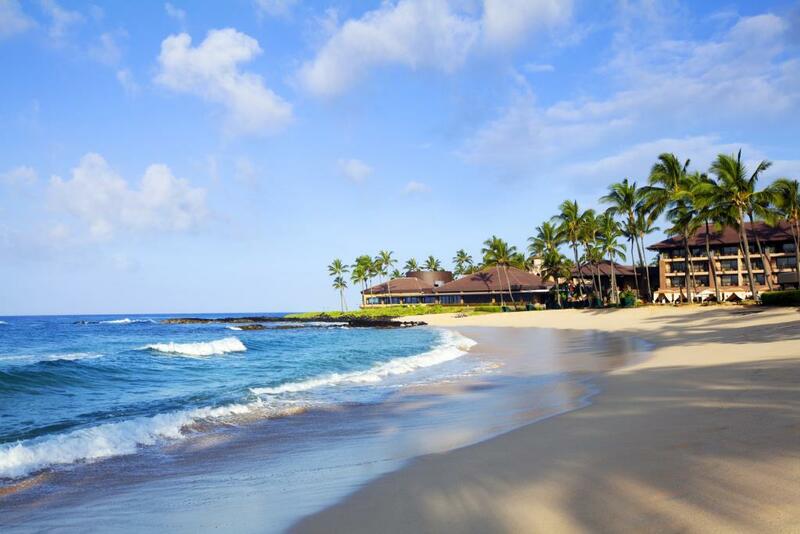 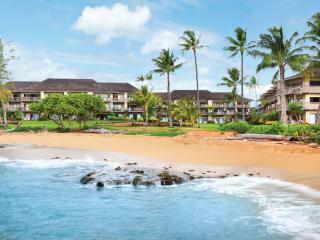 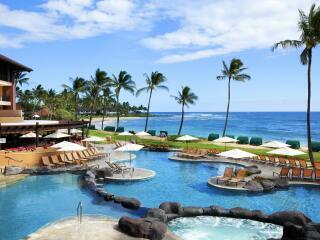 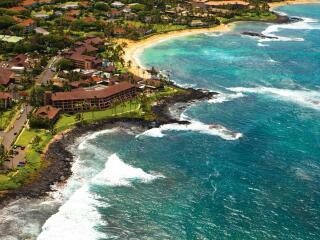 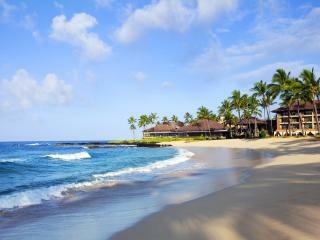 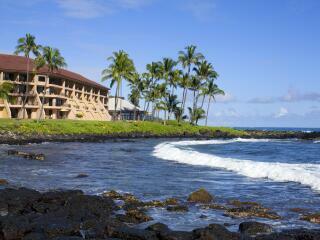 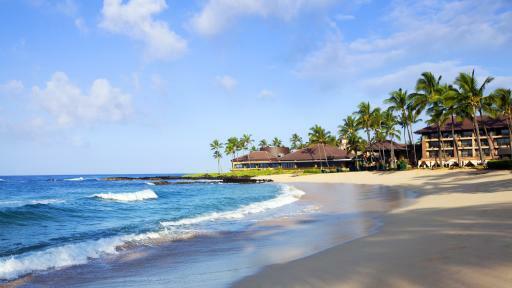 With its close proximity to Poipu Beach, the resort also offers unlimited beach activities. 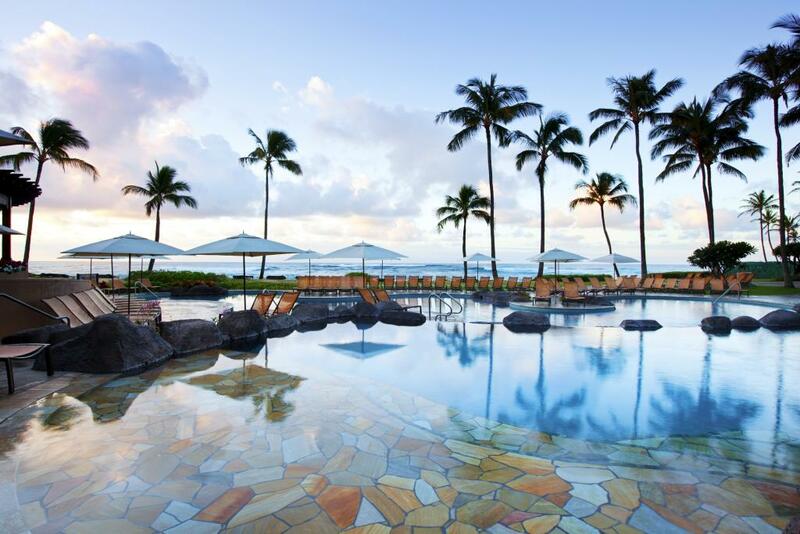 Enjoying a spectacular location, spacious accommodation and a fantastic range of activities and facilities, Sheraton Kauai Resort is the ideal place to stay on your next Hawaii holiday. 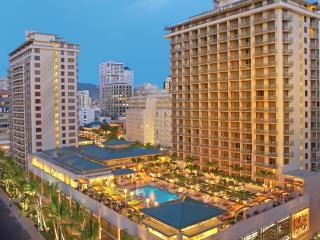 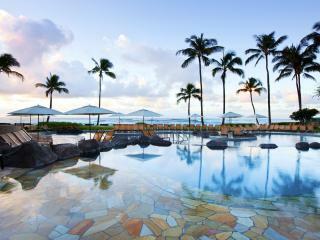 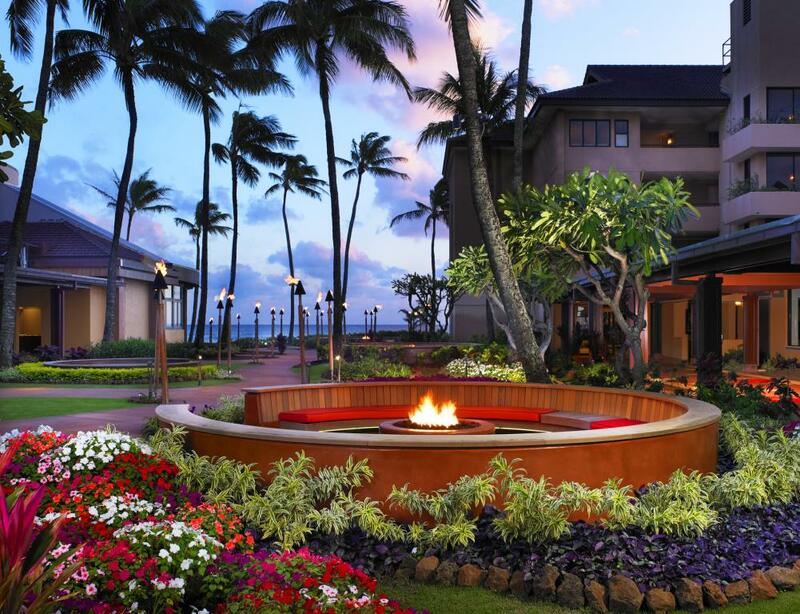 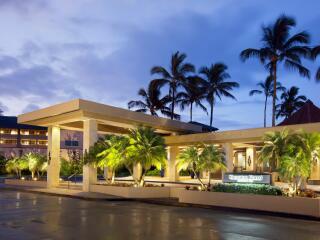 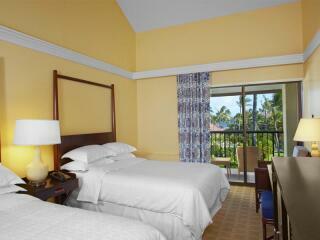 Accommodation at the Sheraton Kauai Resort offers spacious guest rooms spread across 8 four-storey buildings. 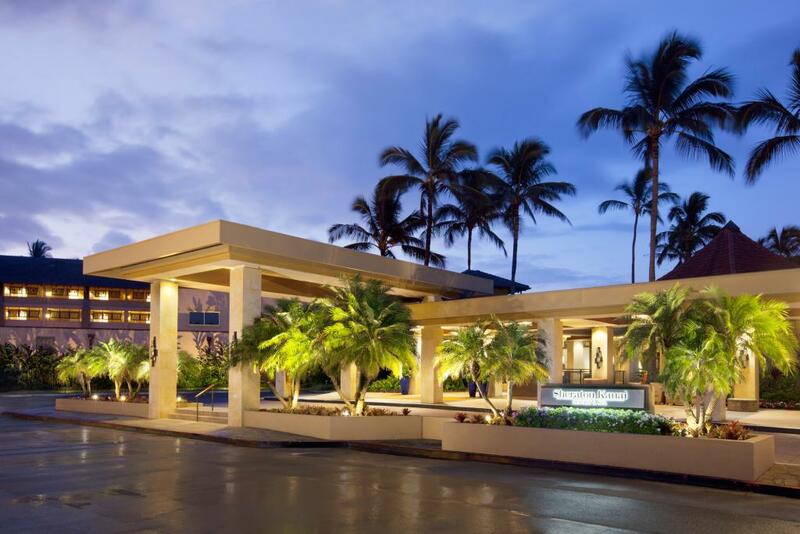 All rooms are air conditioned and feature private balconies with tropical landscaped garden, partial or ocean front views. 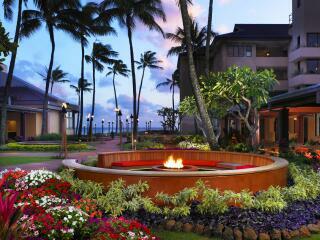 Garden View: Stylish room with serene garden views from a private lanai. 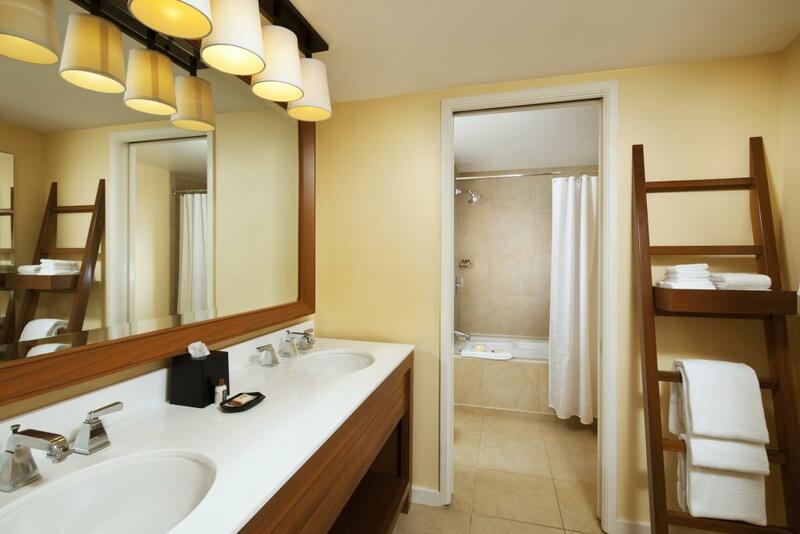 Size is 38m². 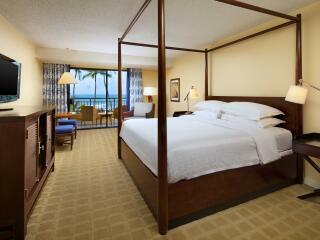 Bedding is 1 King Bed OR 2 Double Beds. 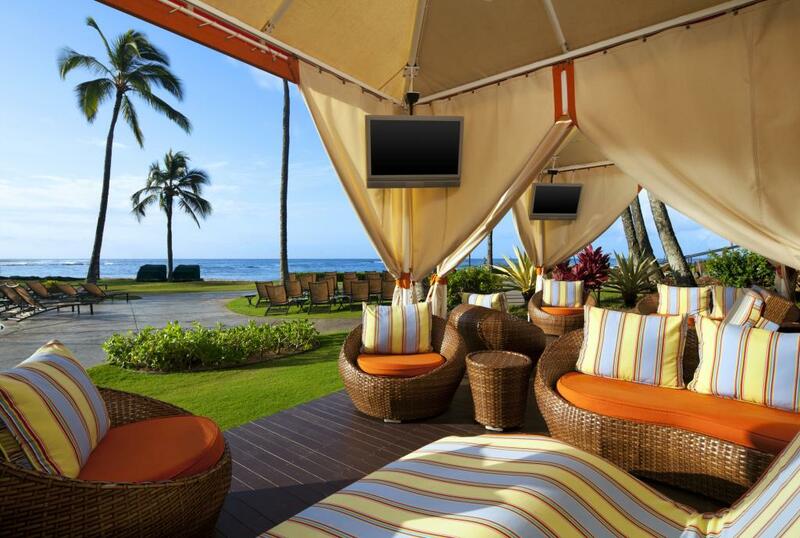 Deluxe Garden View: Stylish and beautifully decorated, these rooms offer rich wood furniture, private lanais and sitting areas. 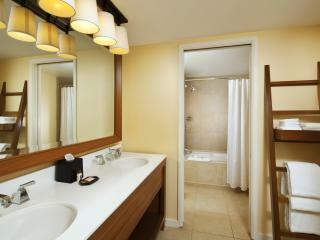 Size is 47m². 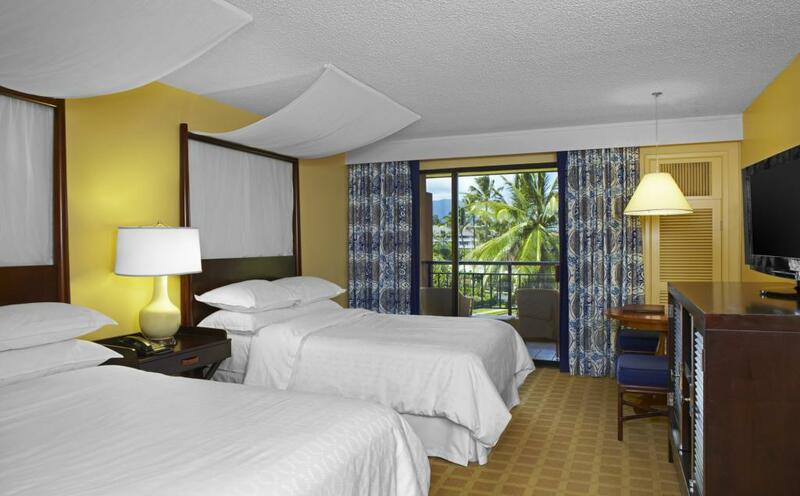 Bedding is 1 King Bed OR 2 Queen Beds. 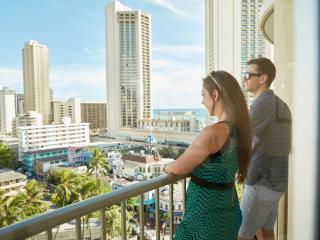 Deluxe Oceanfront: These rooms feature expansive views of the ocean from their privately furnished lanai. 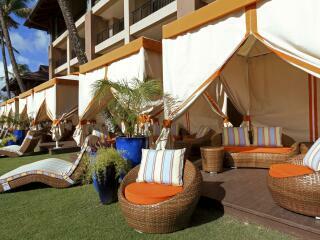 Size is 47m². 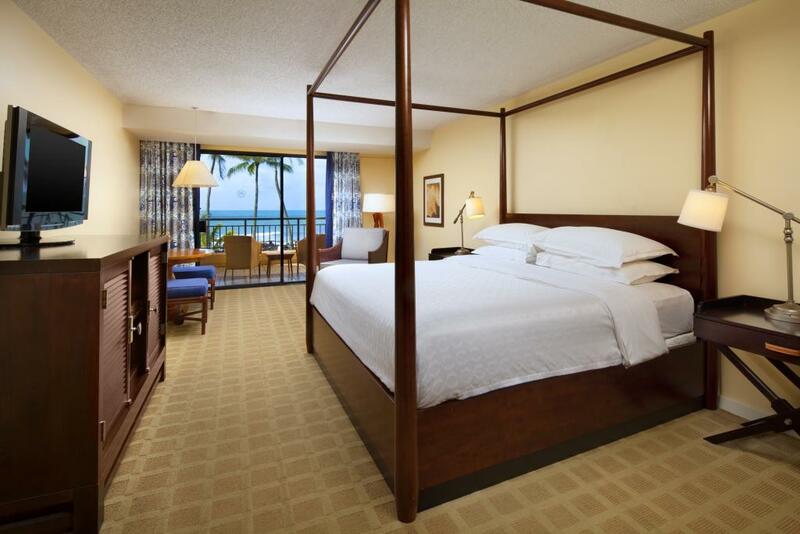 Bedding is 1 King Bed OR 2 Queen Beds. Luxury Ocean Front: These rooms feature premium views of the Kauai coastline from a private, furnished lanai. 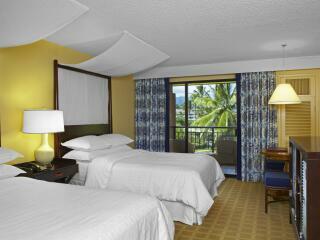 Size is 47m² Bedding is 1 King Bed + 1 Queen Sofa. 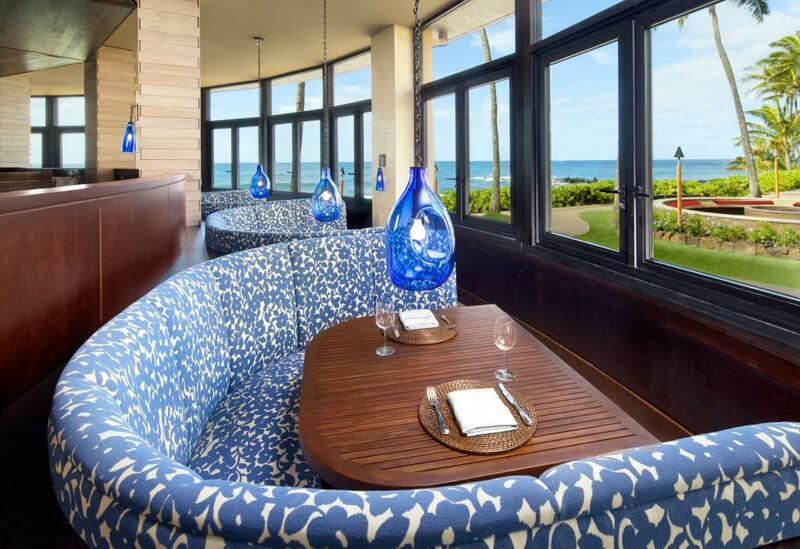 RumFire Poipu Beach: Offers amazing views of the ocean and Poipu Beach and is the perfect location for a relaxed and memorable Hawaiian dinning experience. Choose from a range of regionally and locally inspired meals with a number of wines available. 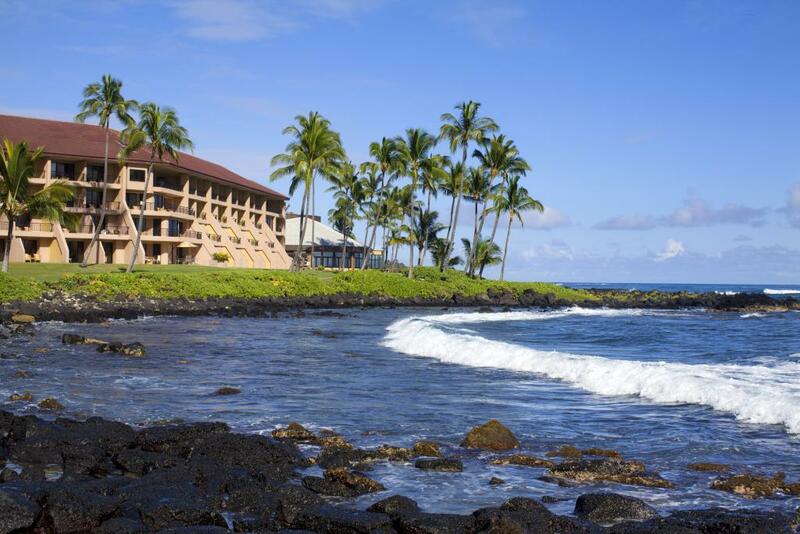 Lava's on Poipu Beach: Enjoy your morning breakfast while overlooking the Poipu Beach. 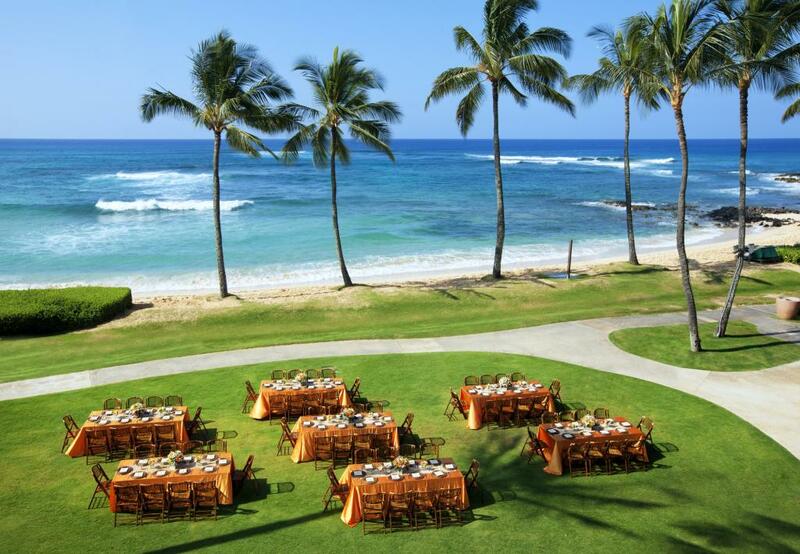 This open air dining experience is set next to the poolside and is open from sunrise to sunset with a range of meals available. 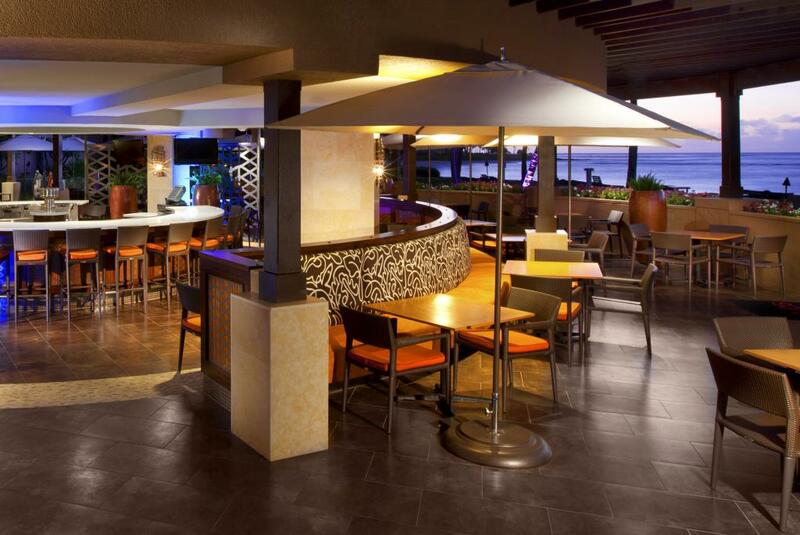 Link@Sheraton Cafe: A great place to stop by and check your emails while enjoying a hot cup of coffee. 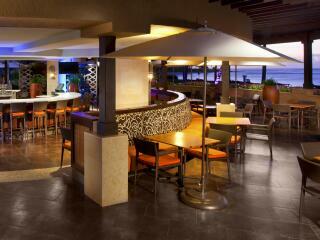 A selection of baked pastries, salads and sandwiches are also available. 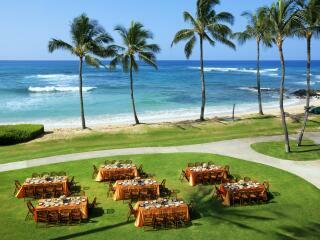 The 'Auli'i Luau is also available on selected evenings. 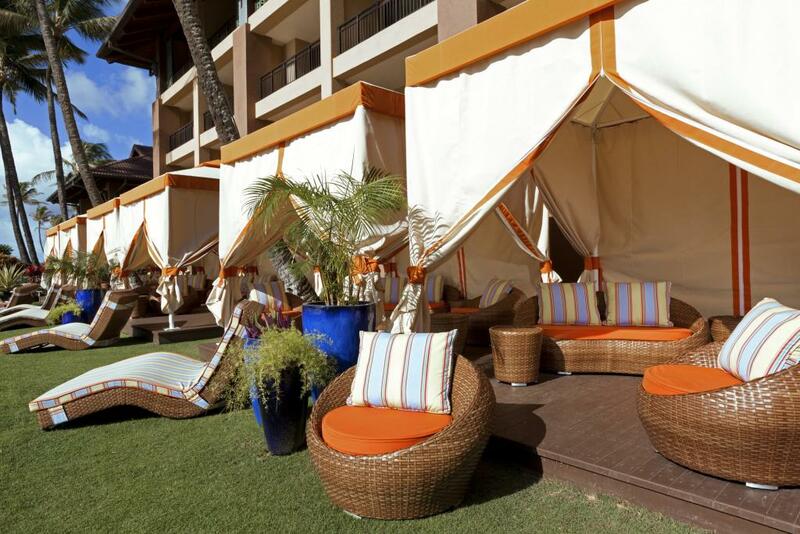 Hawaiian Rainforest Spa: Be pampered with a variety of relaxing and rejuvenating body treatments including Swedish, Shiatsu and sports massages, facials, body wraps and aromatherapy treatments.